We are particularly proud of our reputation as a reliable, friendly no-nonsense West Yorkshire firm. 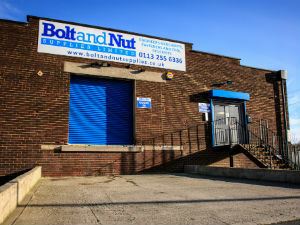 Our customers say good things about us and see Bolt and Nut Supplies as a ‘safe pair of hands’. Thank you for visiting our website. The products featured only scratches the surface, so we’d be delighted to hear from you to discuss your requirements, after all we are one of the only engineers merchants in Leeds to stock such a range of stainless steel and brass as well as imperial and metric nuts, bolts and fasteners. So please feel free to browse our site and get in touch if you have any questions, we are happy to help.